Every professional needs to learn how to write professional emails — and not just for the sake of furthering one’s career How Writing Amazing Emails Can Further Your Career How Writing Amazing Emails Can Further Your Career Sending professional emails gives an intangible boost to your online (and offline) reputation. The ultimate yardstick of artful emailing is if you can bag a job or land a gig with just an impressive email.... Read More . It can be tough, especially when you have to deal with rude, angry, or even trollish people 10 Email Tips for Dealing With Angry, Trollish, or Rude Emails 10 Email Tips for Dealing With Angry, Trollish, or Rude Emails It's incredibly frustrating to check your email inbox only to find a completely hateful message. Why in the world do people act like this? With that said, you should learn how to defend yourself while... Read More , but isn’t it an honorable thing to take pride in the emails you send out? We’ve written a lot about how to email like a pro How To Email Like A Pro How To Email Like A Pro There are a lot of factors that play into email efficiency – not just writing the emails, but setting up the inbox, managing emails, knowing when to check emails, and more. Boosting email efficiency means... Read More , but one aspect that’s regularly overlooked is the email signature. A lot of people don’t have one, and those who do have one are squandering their potential. Plus, if you’re the kind of person who has email anxiety 5 Tips for Ending Your Email Sending Anxiety 5 Tips for Ending Your Email Sending Anxiety Internet etiquette can be a touchy subject, and although I don't consider myself the Miss Manners of the world wide web, I try my best to be courteous with how I act online. Granted, I'm... Read More , a signature could mean one less thing to worry about per email. Thinking about setting a signature for yourself You Too Can Benefit From The Power Of Email Signatures You Too Can Benefit From The Power Of Email Signatures A signature tells you something about a personality. Just as two people hardly write alike, they also sign differently. That's how the "science" of Graphology came into being. But the digital age and the email... Read More ? Here’s what you need to know to get the most out of it. A delimiter is a character sequence that’s used to mark where one thing ends and another begins. In layman’s terms, it’s what you type to say “my email ends here, my signature starts here”. 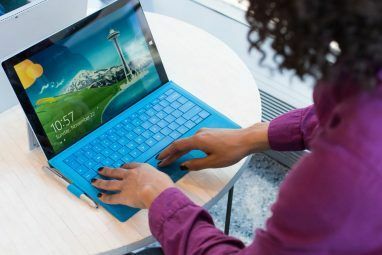 Most modern email clients You Should Ditch Webmail for a Desktop Email Client If... You Should Ditch Webmail for a Desktop Email Client If... A few years ago, webmail was all the rave. Wonder whether it's time to switch back to a desktop email client? Look no further. We show you the merits of a local mail service. Read More will separate the signature from the email body if a signature is detected. For that, you need to use a delimiter that the email client recognizes. Fortunately, there’s an accepted standard that most modern email clients use: two regular dashes followed by a whitespace character (–– ). This delimiter should be on its own line preceding the signature. As with most writing-related things, less is more when it comes to email signatures. Only the most essential elements should be included, which means throwing out everything else that may or may not be useful. The more clutter you have, the less likely your recipient will actually read it. So what should you definitely include? Depending on your field and position, you may also want to include a mailing address, but that may end up being too much. If you still use fax machines, go ahead and add a fax number. Any other detail beyond this is non-critical. You can add more, but only if you can justify it. The big question is, what about social media profiles? If you feel like you absolutely must include them, try to keep it to one or two. The three best candidates are LinkedIn, Facebook, and Twitter. Pick the two you use the most. Any more than that and you risk clutter. If you heed the advice to keep it simple, then it shouldn’t be difficult to keep it short — but even so, it can be easy to let your guard down and end up with a big signature, even if it doesn’t say much. Condense everything as much as you can. The rule of thumb is that it’s better to stretch horizontally than vertically. Try to keep everything on four lines or less. If you exceed that, your signature may appear too bulky, and that means recipients will be less likely to bother reading it. So don’t be afraid to combine multiple elements on the same line. The standard is to separate multiple items using a pipe character (|), but you can use something similar if you like, such as the middot character (·) or the emdash character (—). Here’s where things can get tricky. Of the people who do use email signatures, too many of them try way too hard to make sure their signatures stick out like sore thumbs. After all, you want the recipient to take notice and check out your profiles, right? The problem is that your email signature shouldn’t be the thing that distinguishes you from everyone else. Rather, the email body is where you convince the recipient that you’re worth their time. If your email body has done its job, the recipient will seek out your signature, no matter how bland or forgettable it is. Your signature should only be there for one reason: to let them know how to reach you. Keep it subtle. No flashy colors, no intense formatting, and definitely keep the graphics to a minimum. 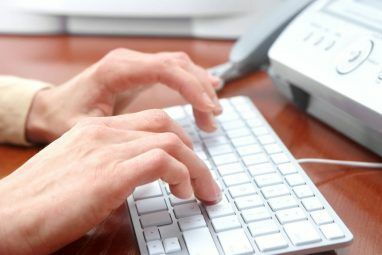 A loud signature could even turn away a recipient 7 Netiquette Guidelines For Writing Emails & Forum Posts 7 Netiquette Guidelines For Writing Emails & Forum Posts Netiquette is short for network or internet etiquette. It encompasses the special set of social conventions found in online interactions. While netiquette is very similar to good behavior or etiquette in offline encounters, there are... Read More who was convinced by the email body. If your email client allows for multiple signatures, consider taking advantage of that. For example, you could set up a seasonal signature with a “Merry Christmas!” message during the holiday months. Or maybe you can set up different signatures for composed emails vs. replies. After all, if you’re replying to someone’s email, they probably already know who you are, so a lot of the usual information in an email signature becomes unnecessary. A signature for replies could be cut down and only inserted for flavor purposes (to make your email feel professional). Just make sure you don’t go overboard with this! Emails can be sent in one of two ways: plain text and HTML. Plain text is great because every email client can handle it, but you lose out on text formatting, hyperlinking, etc. HTML is nice because of what it can do, but some email clients may not display your messages as intended. And then there are vCards, which are basically electronic business cards. They’re useful in theory, but not so great in practice because few people actually care about them. In fact, most people don’t even know what they are. Plus, your signature should have all your relevant details, which makes vCards a bit redundant. I’m not saying you can’t use HTML or vCards, but there are potential downsides to think about. It comes down to the kinds of people you’re emailing and whether or not you’re okay with the occasional annoyed recipient. 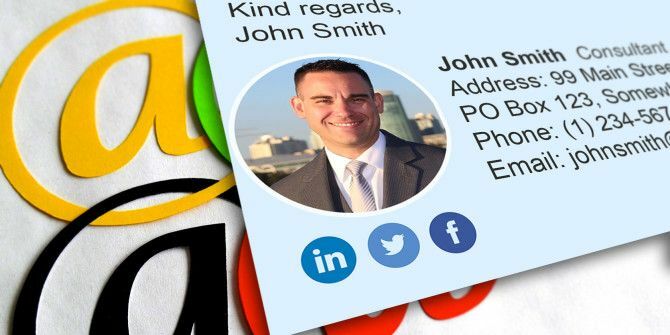 I personally think people should stick with regular business cards 13 Creative Business Card Ideas to Help You Stand Out 13 Creative Business Card Ideas to Help You Stand Out In the rough-and-tumble world of business, nothing helps you stand out more than a memorable business card. Here are a few ideas to help make yours stand out. Read More . Once your email signature is all set and ready to go, there’s one last thing you need to do: send an email to yourself and make sure you check what your signature looks like using as many different email clients as possible. At the very least, you should check with Outlook, Gmail, and a few mobile apps. The last thing you want is an email signature that looks great in your own email client but looks completely botched in something like Gmail, which doesn’t always play nicely with things like HTML. Always double check just to be sure it looks as expected. Do You Use Email Signatures? 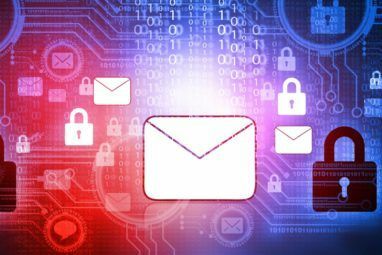 The thing about email is that it’s not going anywhere any time soon The Odd Story of How Email Became So Damn Popular The Odd Story of How Email Became So Damn Popular Email seems like such a primitive bit of technology. How did it ever become so popular? And how come we still use it to this day? Here's the story of how it all happened. Read More , so if you haven’t already, you should really look into these tips for improving your email efficiency 7 Email Efficiency Tips To Get More Email Done, Faster 7 Email Efficiency Tips To Get More Email Done, Faster Life revolves around communication and literally nothing gets accomplished without it. Email is a communication tool meant to make your life easier. Instead of having to type up a letter or try to catch someone... Read More . Signatures aren’t the only way to make your life easier. For example, canned responses can save you a lot of time Email Faster & Better With Canned Responses Email Faster & Better With Canned Responses Don’t have time to cook lunch? No problem, grab a can. Need some camping chow that won’t go bad? Easy, get some canned food. Tired of typing the same email replies? Try canned emails! Think... Read More . Just remember to take the proper email security precautions 7 Important Email Security Tips You Should Know About 7 Important Email Security Tips You Should Know About Internet security is a topic that we all know to be important, but it often sits way back in the recesses of our minds, fooling ourselves into believing that "it won’t happen to me". Whether... Read More so you don’t end up with a malware-ridden computer or accidentally give away your life savings to one of those infamous Nigerian princes. What do you think of email signatures? Do you use them for your accounts? What are your biggest pet peeves when you see someone else’s email signature? Share your thoughts with us in the comments below! Warns against heavy formatting and tells us to keep it short, then uses an example of a MUO signature with bold and underline selected, spaces between characters, multiple colors and a huge number of pointless dots at the end of the company name. I'm following you, but you lost me there. I used ZippySig to create my email signature, worked really well and much easier than doing it manually. Cool, I just gave the site a brief visit and it looks really useful. Thanks for the heads up, Gordan! Why do we need an entire paid website to type 3 lines of text? I never understood why someone would include the email in the signature. Isn't that redundant? Entirely redundant. Your email should never appear in your signature. Thanks for this post, will be editing my signature, asap.